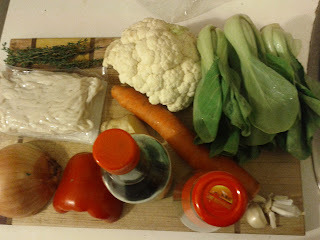 Ingredients are to the left as well as a lime and sesame oil. 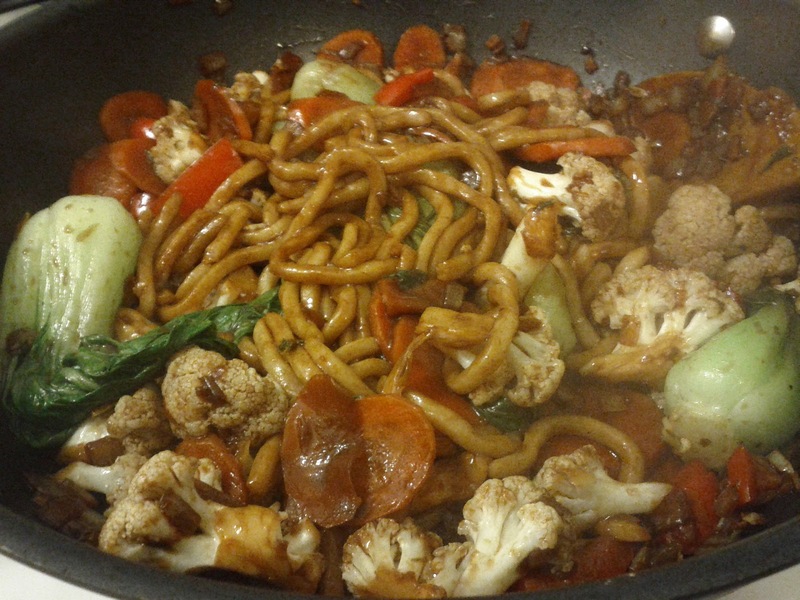 You can barely see the ginger, and the bottles are soy and oyster sauce. 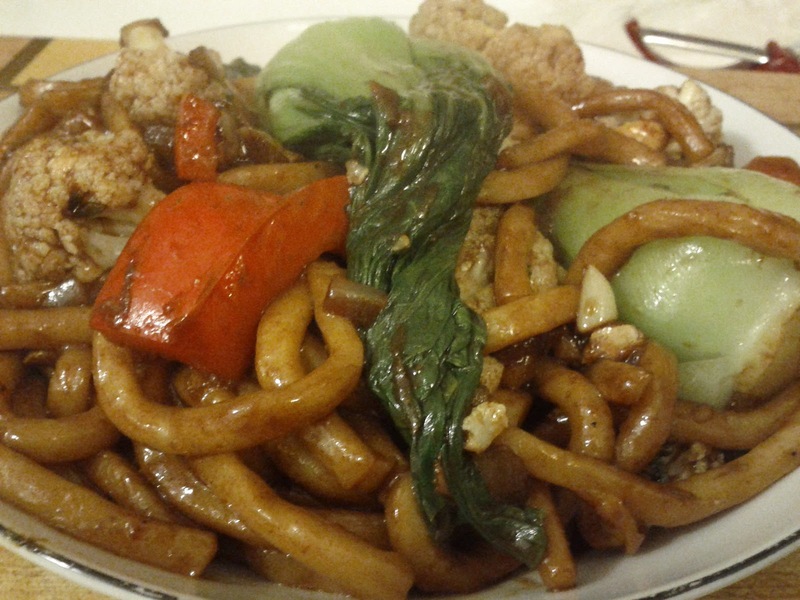 udon noodles, with more oyster sauce on them. This turned out ok, but was missing something. I put a bit of hot sauce on it but it was still only ok. Maybe a sweet element would work, but I'm loathe to add sugar to anything. It's why my jams always fail to gel. I ate some leftovers for lunch but it still didn't really do it for me. The bok choi was chewy and hard to eat. I'd separate the leaves or cut them in halves or quarters next time. Maybe mustard would have pulled it all together? The vegetables were at a well cooked for my taste but the flavour wasn't there. Suggestions in the comments please. *Update* I added a bit of orange zest and Arbol peppers to the leftovers. It was tastier than before and quite enjoyable. My beard liked it too, catching a rather large slice of carrot to save for later. More spice is always good. I'm a fan of spicy food.